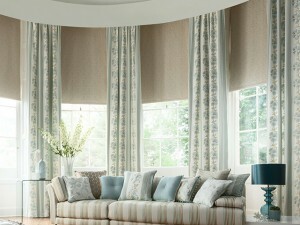 Our fitting service caters for any style of blind, from external Awnings to simple roller blinds. 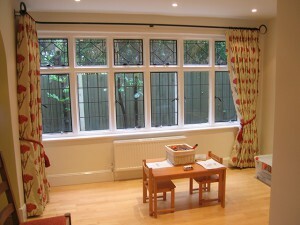 With our training we are able to professionally fit all types of blind in your home or office. 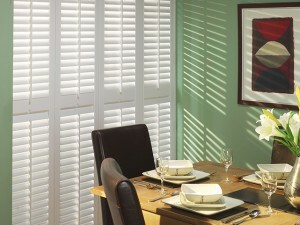 Plantation or Wooden Shutters are difficult to fit and require carpentry skills, specialist tools and plenty of patience. Call Fit-ex we can supply and fit any type of interior shutter at affordable prices. Styles vary from Full height, Cafe height to Tier on Tier. Fitting conservatory roof blinds is a specialist task requiring expertise and training – call Fit-ex who can supply and fit conservatory roof blinds. To fit an awning normally requires two people with suitable schooling – call Fit-ex who can supply and fit exterior awnings. Electrically operated awnings simply require a 13 amp plug socket inside the home. Whether for conservatories or for those inaccessible windows, Fit-ex can supply and fit them all (as we are not qualified electricians some blinds will require this service – if necessary we can arrange for a qualified electrician to quote for the work). 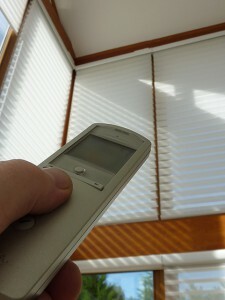 In many instances the blinds will operate from a 13amp plug, so no extra costs are involved. 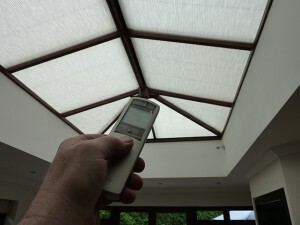 Fitting conservatory roof blinds is a specialist task, requiring expertise and training – call Fit-ex who can supply and fit conservatory roof blinds. Making sure you have the right curtain track for the weight of curtains is important. Fit-ex operators have detailed knowledge of the types of track available and their suitability. Whether you have a difficult bay, a patio door or even a simple cloakroom window to dress Fit-ex can supply and fit all types of curtain track.